Before I can send you your first lesson I need to make sure that I’ve got your correct email address. I’ve sent you a confirmation email to the email address you’ve entered. Click on the link inside the confirmation email as shown below. 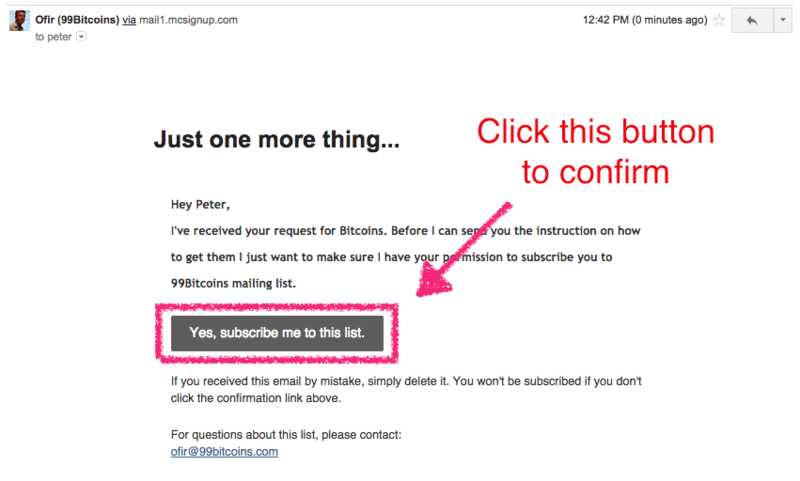 I will only send you relevant Bitcoin information, I will never share your email address with anyone else and you will be able to unsubscribe from this list at any time your like. If you’re using Gmail please read this short tutorial on how to make sure you receive future messages from Digitcoinz. If you can’t find the confirmation email try checking your SPAM folder as it may have accidentally been placed there. If you still can’t find it please contact me.